We have discussed the issue of trauma evaluation and treatment in various articles over the past year, but we have rarely brought up the issue of dental trauma. During the Vietnam war, medical personnel reported that there were as many dental issues presented at Sick Call as medical issues. In a collapse situation, therefore, we can expect a percentage of the Survival Medic’s patients to come with dental problems as well. Despite this, few people who are otherwise medically prepared seem to devote much time to dental health. The anatomy of the tooth is relatively simple for such an important part of our body, and is worth reviewing. 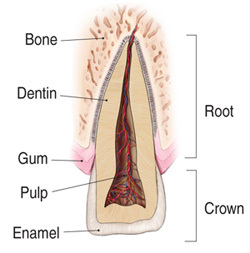 The part of the tooth that you see above the gum line is called the “crown”. Below it, you have the “root”. 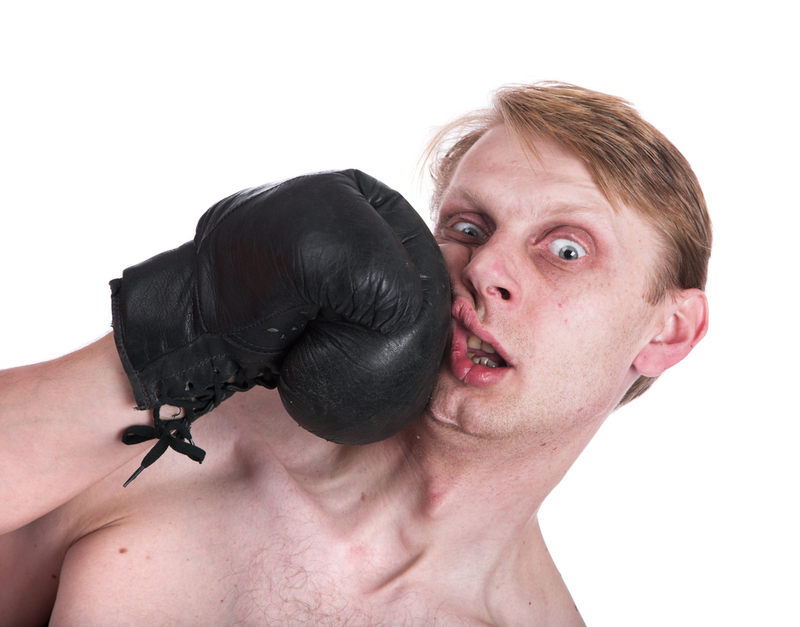 The bony socket that the tooth resides in is called the “alveolus”. Teeth are anchored to the alveolar bone with ligaments, just like you have ligaments holding together your ankle or shoulder. Enamel: The hard white external covering of the tooth crown. Dentin: bony yellowish material under the enamel, and surrounding the pulp. Pulp: connective tissue with blood vessels and nerves endings in the central portion of the tooth. When a portion of a tooth is broken off, it is categorized based on the number of layers of the tooth that are exposed. Classically, dentists have referred to these as Ellis class 1, 2, and 3 fractures. 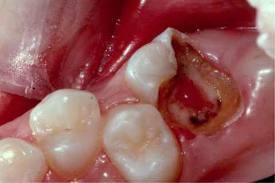 Ellis 1 fractures: In a Ellis 1 fracture, only the enamel has been broken and no dentin or pulp is exposed. This is only a problem if there is a sharp edge to the tooth. You can consider filing the edge smooth or using a mixture of Oil of Cloves, also known as Eugenol, and Zinc Oxide powder as temporary cement. 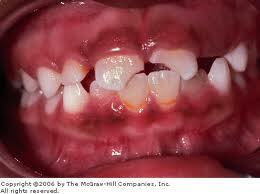 Ellis 2 fractures: Ellis 2 fractures show yellow or beige dentin under the enamel. This area may be sensitive and should be covered if possible. The composition of dentin is different than enamel and bacteria may enter and infect the tooth. This is especially the case with pediatric dental trauma. Ellis 3 fractures. Here the pulp and dentin are both exposed, and Ellis 3 fractures can be quite uncomfortable. If the pulp is exposed, it may bleed. Protective coverings will be most necessary here, and the risks of permanent damage most likely, especially in a collapse. When you identify a fracture of a tooth, you should evaluate the patient for associated damage, such as to the face, inside of the cheek, tongue, and jaw. Sometimes, a tooth fragment may be lodged in the soft tissues and must be removed with instruments. There is likely to be blood due to the trauma, so thoroughly clean out the inside of the mouth so you can fully assess the situation. Then, using your gloved hand or a cotton applicator, lightly touch the injured tooth to see if it is loose. 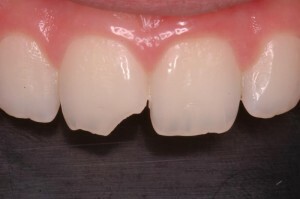 For sensitive Ellis II fractures of dentin, cover the exposed surface with a calcium hydroxide composition (commercially sold as “Dycal”), a Fluoride varnish (Fluoride is rarely beneficial in drinking water, in my opinion, but is acceptable as a DIRECT application to the tooth defect in this situation) or even clear nail polish to decrease sensitivity. Provide pain medications, instruct the patient to avoid hot and cold food or drink. Ellis III fractures into pulp are trouble, due to the risk of infection, among other reasons. Calcium hydroxide on the pulp surface with an additional temporary cement can be used as coverings. Provide for analgesics and antibiotics. Penicillin and Doxycycline are options. Despite all this, the prognosis is not favorable without modern dental intervention. A particularly difficult dental fracture involves the root. Sometimes, it is not until the gum is peeled back that a fracture in the root is identified. If this is the case, the tooth is likely unsalvageable (especially in vertical fractures) and, in a power-down situation, should be extracted. As always, this article is not meant as official dental advice, as I am not a dentist. It is an effort to provide information to the preparedness community for situations where modern medical/dental care is inaccessible for the long term. Are you prepared to deal with medical issues in situations where medical help is NOT on the way? With the Doom and Bloom(tm) Survival Medicine Handbook, you will be!